The time is finally upon us, "Nike Air" is officially set to return on the Air Jordan 3 Retro '88. Made to commemorate the 25th Anniversary of Michael Jordan winning the 1988 Slam Dunk Contest. 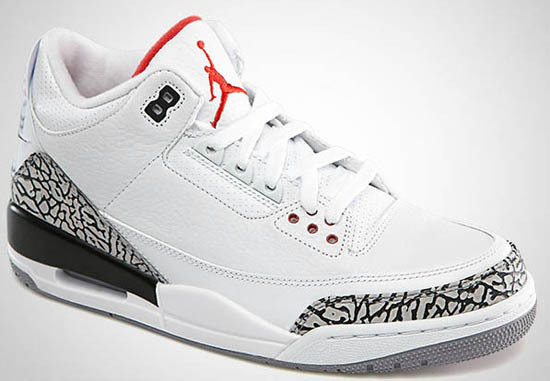 This original white and cement grey colorway of the Air Jordan III was the pair he wore when he made his infamous leap from the free throw line. It will be the fourth time this OG colorway has been retroed and the second time it will feature "Nike Air" on them (not including the OG's). 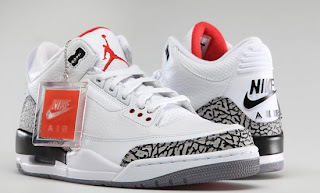 Labeled as the Air Jordan 3 Retro '88, they feature "Nike Air" on the back heel as well as on the orange hang tag. These will also come in the same OG-style Jordan III box that all the 2011 Air Jordan 3 Retro releases came packaged in. 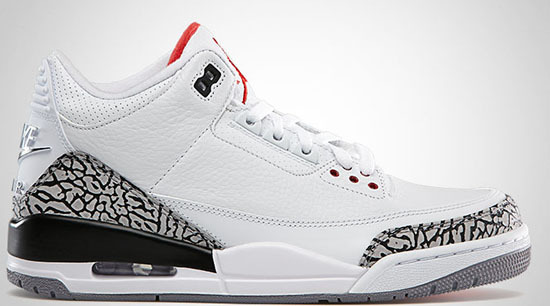 The Air Jordan 3 Retro '88 will be a very limited release available at select Jordan Brand accounts worldwide on Wednesday, February 6th, 2013. The same day in 1988 that MJ won the contest. Retail is set at $200 for men's sizes and, they will also be available in GS (gradeschool) big kid's sizes retailing for, $125. Enjoy the official images below and if you plan on grabbing a pair of these when they release, be sure to check in with your local spots now to see if they will be receiving them if you have not already. For those of you looking to secure a pair now can click here to buy them on eBay. NBA All-Star Weekend 2013 Recap : How Did You Do?